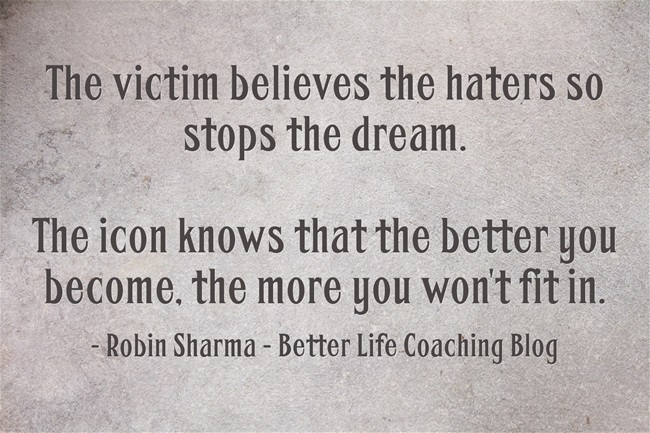 The victim believes the haters so stops the dream. The icon knows that the better you become, the more you won’t fit in. You will be tempted sometimes to conform to the standards of everyone else around you. To match them for mediocrity. To aspire to nothing more than average. But why fit in, when you were born to stand out? You have so much potential, it’s extraordinary. Previous post – Are You an Alchemist? « Are You an Alchemist?